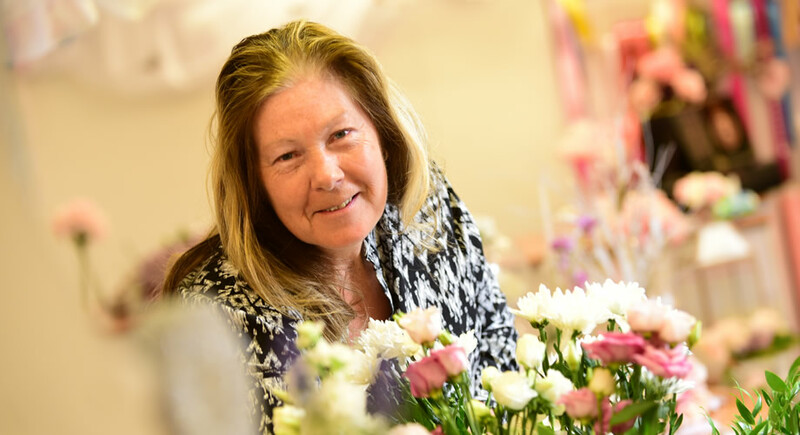 Denise is the owner of the Flower Lounge and caters for all occasions from valentines to weddings, funerals and birthdays or just that something special. Being a highly skilled florist for 30 years ensures the creation of quality products for each customer. It is somewhat of an accolade to receive 5 star ratings on the web; check out our Facebook page. Were happy to offer advice or a private consultation and create what you want. We specialise in weddings and special occasions along with unique funeral flowers. We pride ourselves on our excellent customer service; every order is the first order of the day. You will be pushed to find a florist in the city centre; if you want that something special for a loved one or even a thank you for a work colleague pop in to see us at the back of the market. Our range includes vases, silk flowers, seasonal flowers, gifts and table arrangements.